2 Bdrm Semi-detached Cottage (requiring full refurbishment). Porch/Dining area. Kitch. Utility area. 1st flr: Bathrm. 2 Bdrms (CT band - TBC). Parking. Price over £130,000 Entry by arr. Viewing 07748 706418 or contact solicitors. 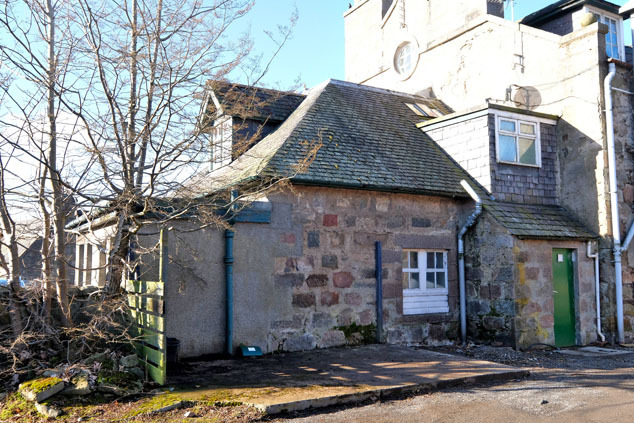 Located within the historic Deeside village of Kincardine O’Neil we offer for sale this charming two bedroomed semi detached cottage in need of full refurbishment. The current owners have obtained full planning permission to part change of use from Class 7 (hotel) to Class 9 (dwellinghouse) including internal alterations and replacement windows. The deceptively spacious accommodation currently comprises of a storm porch leading to an open plan lounge/dining area which in turn gives access to a galley style kitchen served by a separate utility area. A rear porch leads to an external door giving access to a rear communal courtyard. Stairs from the lounge/dining area lead to a mezzanine bathroom and continue to the upper floor and two double bedrooms. Details of full planning and proposed conversion can be obtained from the Aberdeenshire Council planning website ref APP/2016/2512. Viewing of this unique property is highly recommended to fully appreciate the location and potential on offer. 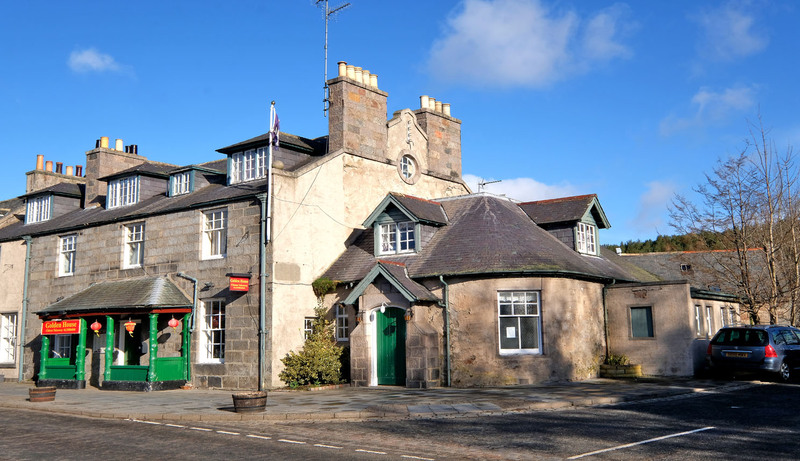 Kincardine O'Neil is a pleasant village in the heart of Royal Deeside with a range of shops and numerous other facilities including the excellent primary school. 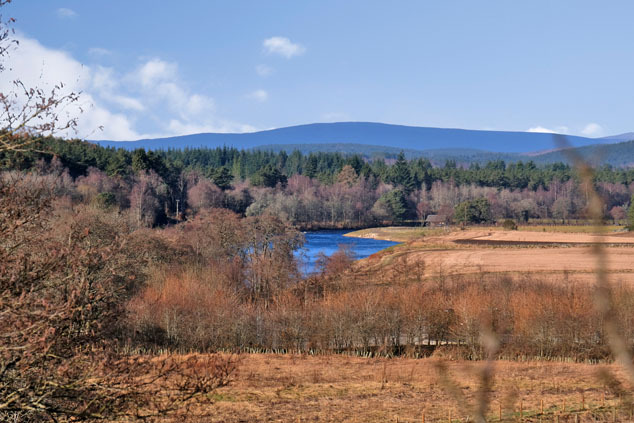 It is an ideal area for the outdoor enthusiast and with a wide range of sporting activities on Upper Deeside they are within an easy reach and they include walking, skiing, gliding, fishing and golf. Storm Porch With mews frontage, double hardwood doors lead to the storm porch which in turn gives access to the open plan lounge/dining area. Lounge/Dining Area 19’10” x 18’6” [6.05m x 5.65m] approx. 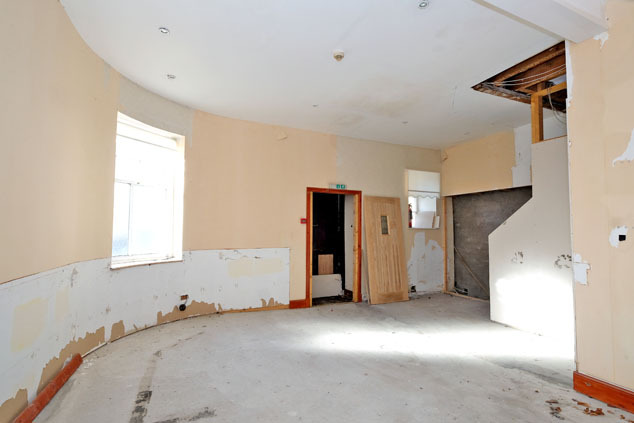 at widest Of generous proportions this room currently features a curved feature wall with two windows to the front of the property. 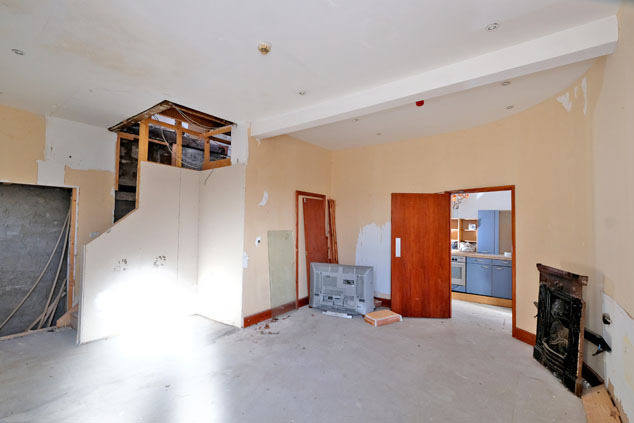 A door leads to the existing kitchen and a staircase gives access to the upper floor. Kitchen 14’7” x 6’6” [4.45m x 2.00m] approx. at widest Currently fitted with a range of wall and base units with ample roll front worksurface. Window to the rear. Access to former utility area and further door to rear porch. Utility Area 13’1” x 5’8” [4.00m x 1.75m] approx. Triple windows to the side of the property. Slate flooring. The proposed conversion would create a good sized fitted kitchen in this area. Rear Porch Centrally set this area provides access to a deep storage cupboard and a hardwood door to the rear courtyard. The proposed conversion would allow for the installation of a downstairs cloakroom within this area. Stairs to Upper Floor A wooden staircase leads from the lounge area to the mezzanine and upper floors. A sky light window allows ample natural light into the area. Mezzanine Bathroom A good sized bathroom currently plumbed for a three piece suite with window to the rear. Full refurbishment is required. Bedroom 1 17’7” x 10’0” [5.35m x 3.05m] approx. at widest Of generous proportions this double room retains the curved wall feature with dormer window to the front of the property and would offer ample space for a range of free standing furniture. Bedroom 2 11’10” x 11’8” [3.60m x 3.55m] approx. A bright double bedroom overlooks the side of the property and would provide ample space for free standing furniture. Outside The property benefits from an exclusive planted area at the mews frontage with fully paved area leading to the rear communal courtyard. A private access road to the side of the building leads to the rear of the building and a shared parking facility. Planning Permission The property benefits from full planning permission for part change of use from Class 7 (hotel) to Class 9 (dwellinghouse) including internal alterations and replacement windows. Planning details can be obtained from the Aberdeenshire planning department ref. APP/2016/2512. Notes Travelling from Banchory in the direction towards Aboyne, on entering Kincardine O’Neil, continue to the centre of the village and the property is located on the right hand side as indicated by our for sale board. Notes The property services are fully disconnected and reconnection to electricity and water will be the responsibility of the purchaser.